30 DAYS FOR $30 ! If you're looking for our $30 for 30 Days Subscription Service, please GO HERE. Choose 30 or 60 or 90 Days ~ It's a Great Value! Choose 30, 60, or 90 Days! You can promote an Amazon, Nook, Kobo, Smashwords or Your Own Website Links! If you have a coupon code, you can use it when you fill out the order form. 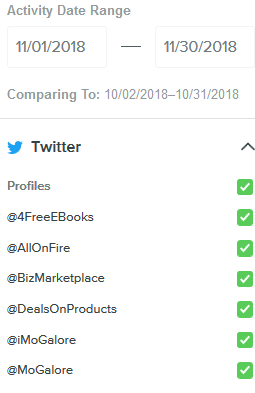 YOU GET 16 TWEETS PER DAY! 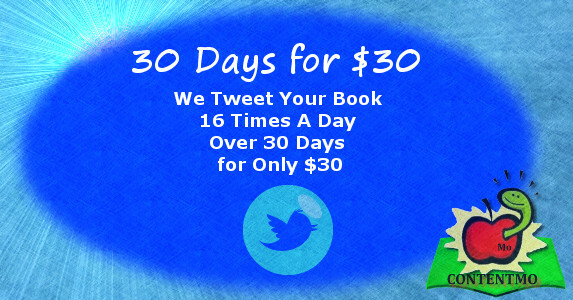 We TWEET Your Book for 30 Days, Multiple Times a Day for ONLY $30! Just purchase the plan below, fill out the form you see after making payment, and we do the REST! Our IMPRESSIONS EXCEED 1,700,000+ targeted readers who are following us because of our hard work delivering the products they want to see! You DO NOT need PayPal to pay for your order. Promotion runs on consecutive days from the start date.